America’s favorite hip hop dork dropped the video for his latest single “Hotline Bling” on Apple Music yesterday. It’s already off to a good start as a meme and contender for this year’s culturally-relevant Halloween costume, with people mashing Drake’s drunk uncle-esque dance moves to the beat of various songs. What Drake (and many others before him – #BeyonceAlwaysOnBeat, for one) is experiencing isn’t a coincidental phenomenon. Even though we all keep different rhythms when it come to dance, it may seem strange that one set of moves could fit so many variety of music – slow or fast. Why? The simple answer is this: It’s all in your head. The human brain is designed to recognize patterns – and if it’s something that music and dancing have in common, it’s the repetition of movement and sound. 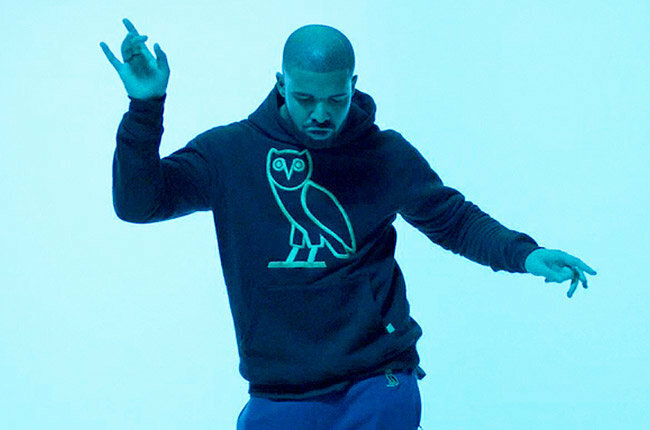 Not only does Drake’s dancing seemingly matches up to any song, when it’s presented in GIF form, humans have more opportunity to synchronize his moves to the current part of the song being played. His side steps match perfectly to the piano keys, right? Now let’s change up the tunes. Now play the same songs above and watch the GIFs below and see if they match the music too! Weird, huh? The more you know.